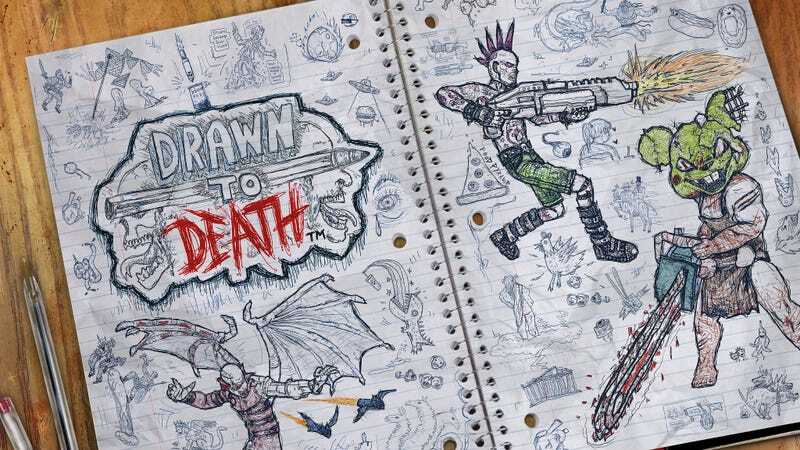 David Jaffe’s sketchy hero shooter Drawn to Death launches for PS4 on April 4 as a $19.99 download. David Jaffe’s sketchy hero shooter Drawn to Death launches for PS4 on April 4 as a $19.99 download. The multiplayer arena game set inside a teenager’s doodle-laden notebook was first revealed back in December of 2014. It looks really neat.